Planning a trip to America’s largest national park can be quite overwhelming. At 13.2 million acres, it’s larger than Switzerland and equal to 6 Yellowstones! The park visitor center is located in Copper Center, where we chose to spend the first of our three nights in the park. Our next two nights were spent in McCarthy, 6o miles into the park (getting there was quite an adventure on the McCarthy Road – make sure your vehicle has a full spare!). We chose McCarthy for its proximity to the historic Kennecott Mill and to many of the hiking trails in the park. Stay: Spend the night in your own lakeside cabin at Willow Lake B&B (Copper Center). In the morning Linda will cook you sourdough pancakes for breakfast while her husband Jim entertains you with stories of their life in Alaska for the last 40 years. Do: Hike up to the abandoned Bonanza copper mine. The trail follows an old gravel road most of the way up to the mine, getting steeper the farther you go. At 9 miles round-trip with a 3,800 ft elevation gain, the climb is relentless but worth the effort for the views from the top. 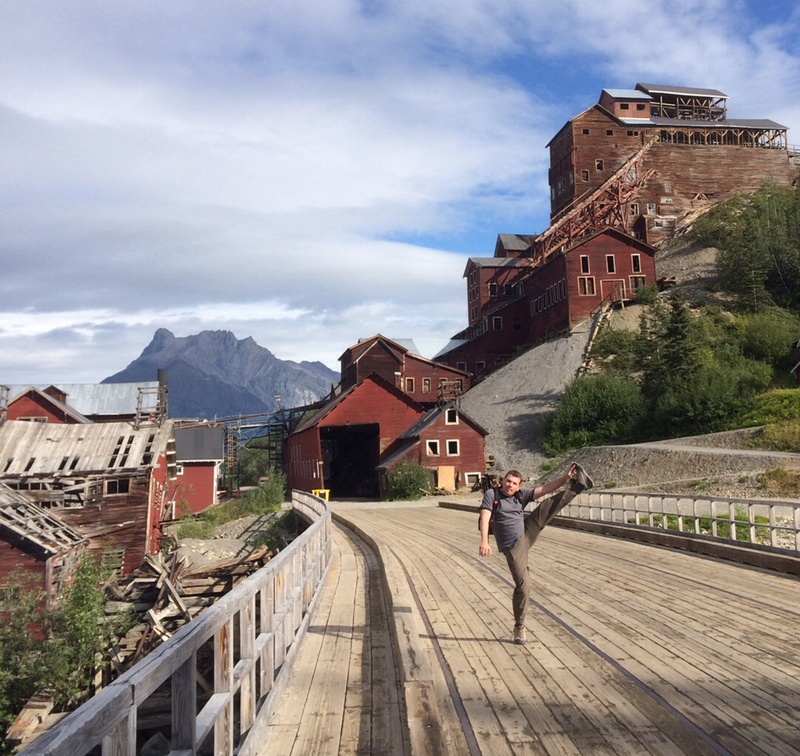 This entry was posted in High Kick Photos and tagged High Kick, Kennecott Mill, McCarthy Lodge, Willow Lake B&B, Wrangell St. Elias National Park. Bookmark the permalink.